The WOWO Hoosier Hop show has took its roots or mission from the lore of what Hoosier Hospitality was all about. Back in the early 1800s or even earlier, the first community social affairs were held within the wooden stockades of the old 'fort' (remember, the show was in Fort Wayne). Hoosier Hospitality reigned then as part of the entertainment then and was part of the inspiration of the show that came to be known as the Hoosier Hop. 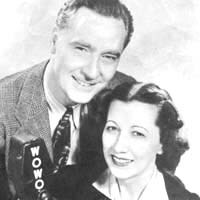 The Hoosier Hop was established as a feature of WOWO's programming schedule back in 1932. The CBS network liked it enough, that it gave it a half-hour spot each week for many months. On July 17, 1943, the Hoosier Hop came alive again as a studio broadcast with a cast of about 15 people. They kept adding to the cast and in no time it seems, the show moved to capacity crowds of 4,000 at the Shrine Auditorium in Fort Wayne starting on October 8, 1943. By that time, the cast included over 30 people. During its run, the cast would appear at fairs, bond rallies, civic functions, and sometimes, even private wedding and house parties. 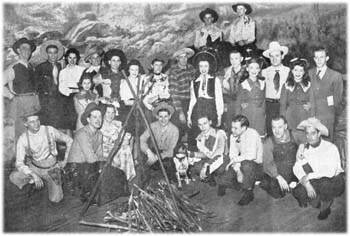 On May 5, 1944, the Hoosier Hop achieved some bit of national fame when it became part of the Blue Network with a full 55-minute show that offered "... rural rhythms and traditional American folk music." It was said to be a 'midwestern wilderness blossoming into a new summer playground where the gala entertainment would center aound radio and stage shows from a great open air amphitheater. Buck Lake, located just outside of Angola, Indiana, on U.S. Highway 20 and 27, provided the natural setting for the new center. The amphitheater was located on a hillside under large oak trees and comfortablly sat over 5,000. 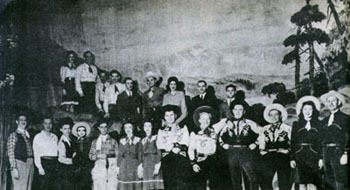 The stage was fashioned after the famous Hollywood Bowl. It was said to be complete in every detail. It had two completely independent sources of electricity to provide the illumination of the grounds and stage and to power the broadcasts that would originate through a soundproof control room constructed into the 30x40 stage building. The soundproof room would also be the control center of the amphitheater's high fidelity sound system, which was 'custom designed'. WOWO in Fort Wayne originated the Saturday night "Hoosier Hop" from Buck Lake as well as other broadcasts throughout the summer. Sundays were reserved for a series of personal appearances by famous western stars. Besides the amphitheater, the grounds included bridle paths, barbecue pits, pony rides, and an old Indian trading post. Fishing and boating was also part of the regular facilities. 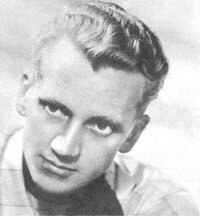 "Happy Herb" Hayworth appeared to be the announcer for the show. 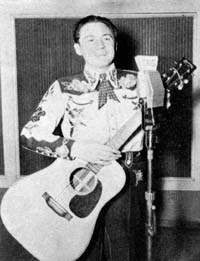 He was know for his "off-the-cuff" remarks as well as his inexhaustible store of songs. 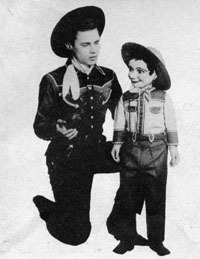 George Troxel, one of the youngest on the show at the time, was a ventriloquist whose sidekick was Danny O'Grady. Kenny Roberts, was a favorite WOWO singing and yodeling start. 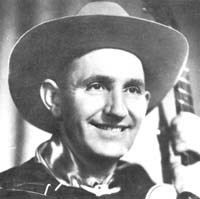 He was said to have won a chanmpionship yodeling contest which had entries from six New England statesthe youngest to ever hold that titlehe was also a 'solid' bass player, guitarist and harmonica player. Blackhawk Valley Boys, a quartet that had been together over 15 years and appeared throughout the 48 states back then. Judy and Jen, a sister team originally from KXOK in St. Louis, MO. Song and Picture Barn Dance Magazine, Issue No. 2, September 1947, 35 East Wacker Drive, Chicago, IL, Bill Currie Publisher, Ed Deuss, Editor.